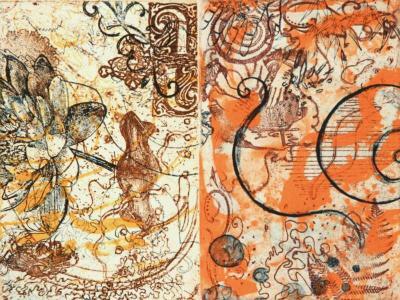 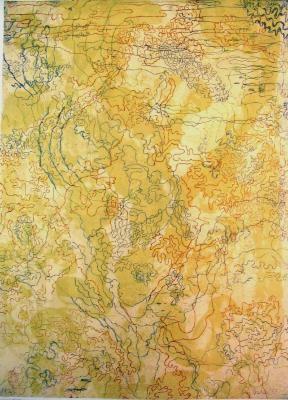 Ken Buhler, Coral Gold, Etching & lithograph, 38 in X 28 in, 2007. 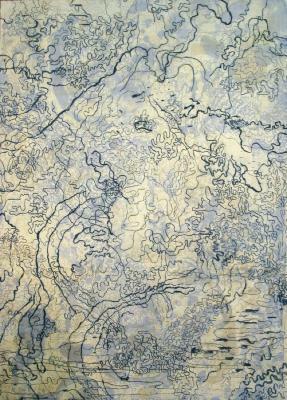 Ken Buhler, Notes from the Edge of the World #5, Etching, AP 2/4, 23 in X 18 in, 2011. 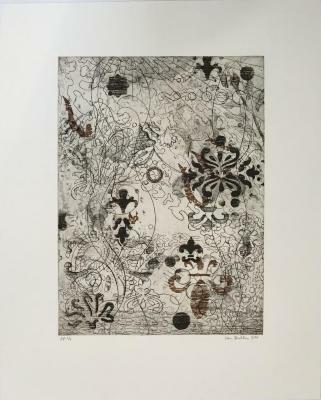 Ken Buhler, Notes from the Edge of the World #6, Etching, AP 2/4, 23 in X 18 in, 2011. 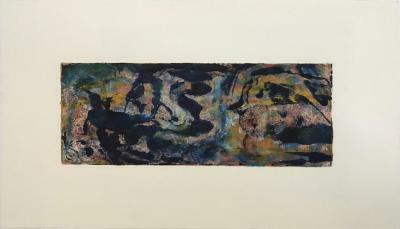 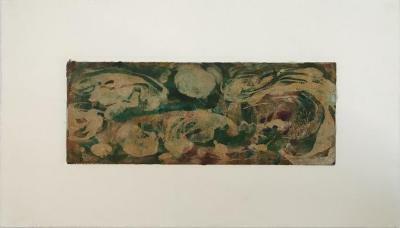 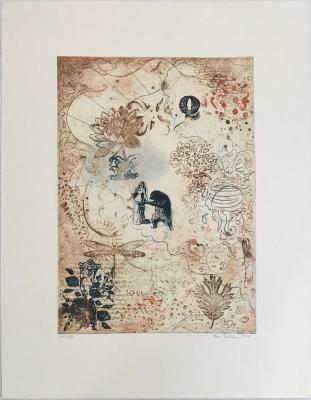 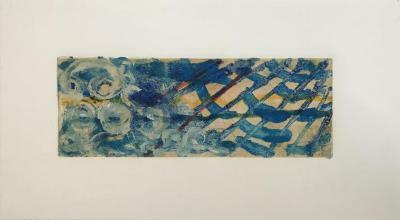 Ken Buhler, Notes from the Edge of the World #9, Sugarlift, soft ground aquatint, 21 in X 46 in, 2011. 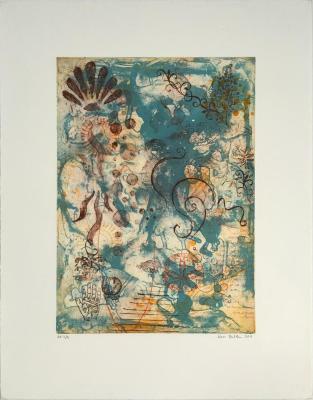 Ken Buhler, Notes from the Edge of the World #8, Sugarlift, soft ground aquatint, 21 in X 46 in, 2011.